Day spent on the Ellerslie Racecourse here in Auckland was enriched with the queens of the rhythm! Dancers from Rio were there to make the real show and all we had to do is to join them and try some of the crazy dance moves! Awesome! 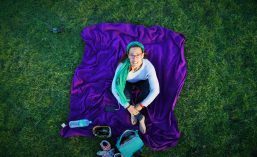 This entry was posted in New Zealand - North Island, Travel Photography and tagged Auckland, backpacking, dance, fun, new zealand, racecourse, rhythm, rio dancers, summer, travel, wanderlust, weekly photo challenge, working holiday. Bookmark the permalink. ← Beautiful day at the Little Shoal Bay! Wonderful post and very gorgeous photo.